The Polynesian Cultural Center is home to the famous Alii Luau and world's largest Polynesian night show! 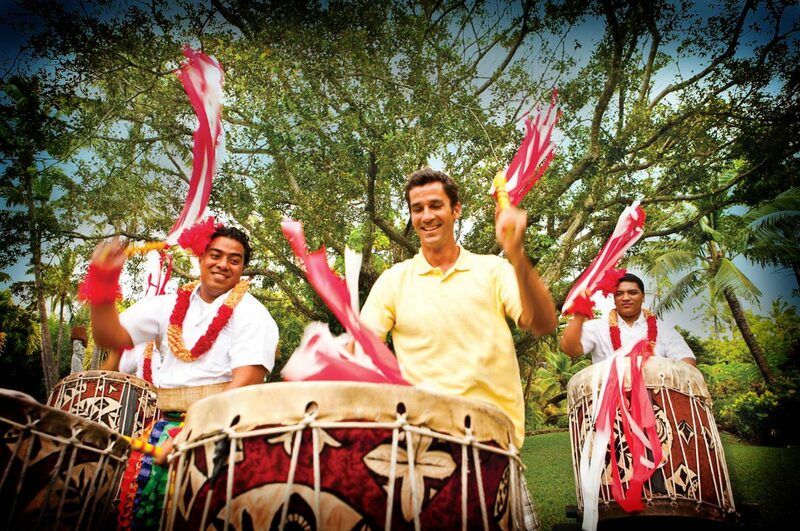 Located in Laie on the northeast shore of Oahu, Polynesian Cultural Center's facilities feature six native Pacific islands and demonstrations of the daily traditions of the people of Hawaii, Tahiti, Samoa, Tonga, Fiji and Maori. Take part in fun activities for all ages and watch authentic cultural performances. 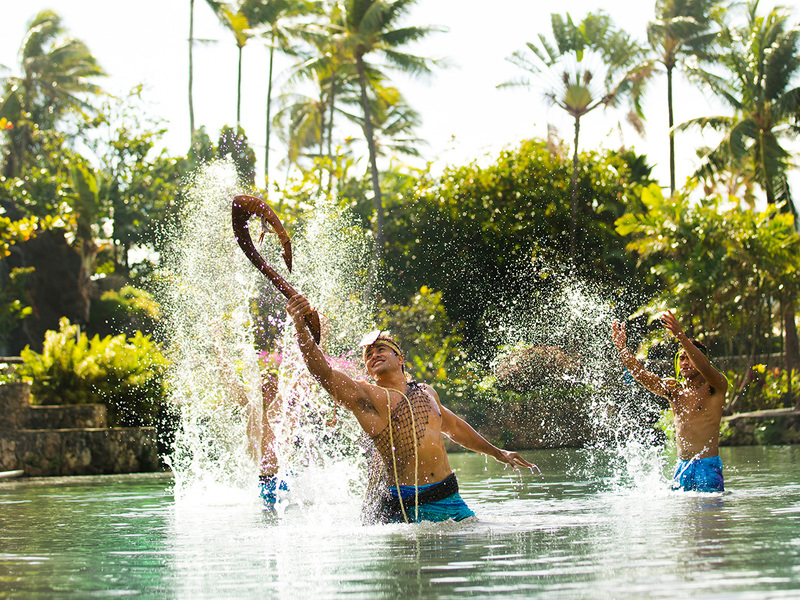 It's no wonder that Polynesian Cultural Center is Hawaii's top paid attraction! The Polynesian Cultural Center opened to provide jobs for students of Brigham Young University (BYU), Hawaii in October 12th, 1963. Today, Polynesian Cultural Center spans 42 acres of land in Laie. 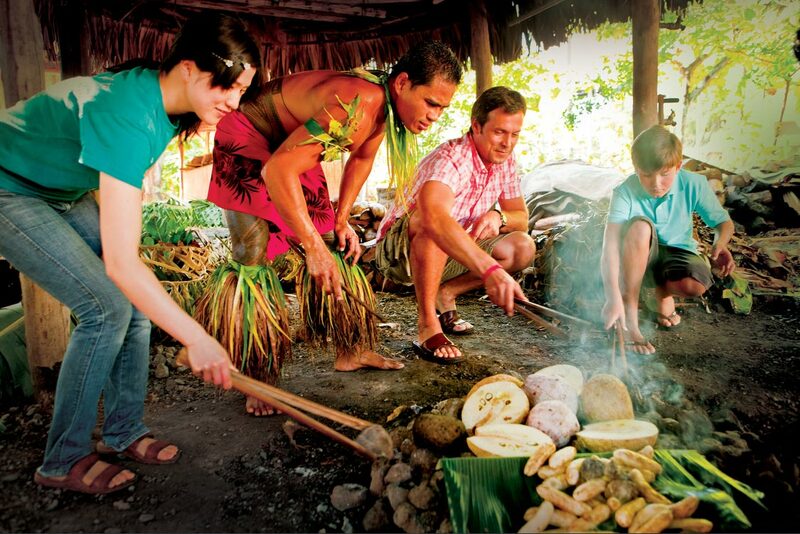 A large part of the local community, Polynesian Cultural Center provides scholarships to BYU students both from Hawaii and international countries. The center features a variety of Polynesian cultures in a fun, engaging way that allows them to share their unique cultures and traditions even as they keep them alive. There are many ways to enjoy the Polynesian Cultural Center. We have organized our package selections so you can easily select the best plan for you and your group. • Circle Island Tour & Full Day Packages: You don't want to waste your precious vacation time. 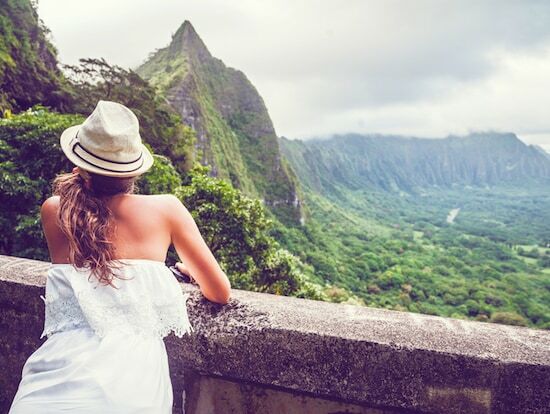 Why not combine your island sightseeing tour and a visit to Polynesian Cultural Center, all in one day? Absolutely recommended to our first-time visitors! • Half Day Packages: Don't have all day but still want to visit? This will let you enter the park at 4pm and still have time for a couple of village presentations, dinner and the spectacular night show. Time Saver! If you purchase our Circle Island & Polynesian Cultural Center package, you will be picked up between 7:30am and 8:30am from Waikiki. • Enjoy a sightseeing in the morning, and a fun filled day at the Polynesian Cultural Center in the afternoon and the night. 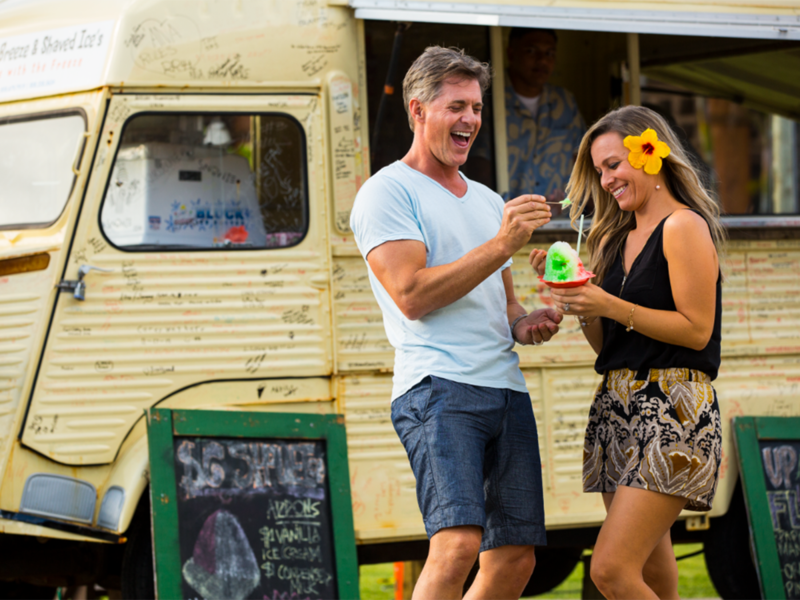 Purchase our full-day packages and enjoy a convenient pick-up near your hotel in Waikiki around 10am. Be sure to select your pick-up location upon booking. • Dress comfortably (no bathing suits) and wear comfortable shoes as you will be walking around the park all day. • Electric scooters, wheelchairs and strollers are available for rent if needed. Please contact us at 808-690-9990. Check in at the gate between 11:45am and 12:00pm for your tickets. If you have purchased a package with guides, they will pick up the ticket for you. If you arrive early, you can browse the Hukilau Marketplace, which opens at 11:00am. The welcome show at the Samoan Village begins at 12:00pm, while all other attractions begin at 12:30pm. The most popular village at the Polynesian Cultural Center! Learn about the Samoans in a cultural presentation that displays the famous Samoan sense of humor! The island village of New Zealand is where you'll learn of the Maori people. 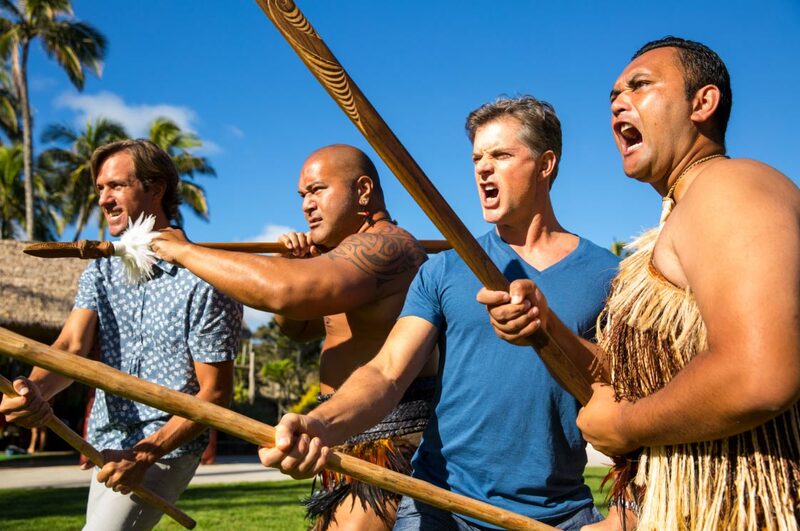 Watch the famous Maori warrior's dance, the haka, learn the significance of Maori tattoos and totems, and learn how to play the stick tossing game. • Learn the significance of Maori tattoos & watch the warrior dance, Haka. Watch a traditional Fijian dance, play the derua (bamboo instrument), and learn how to make coconut oil. The village of Fiji includes demonstrations of traditional tattoos, lessons on the derua, and a tour of a 6-story, traditional Fijian temple. Experience Hawaii like you never have before in an immersive cinematic IMAX theater experience: feel the wind, mist of rain, and the rumble of the earth in this 4D film experience. The presentation lasts around 15 minutes, after which you'll have time to find seats by the lagoon in time for the canoe show. 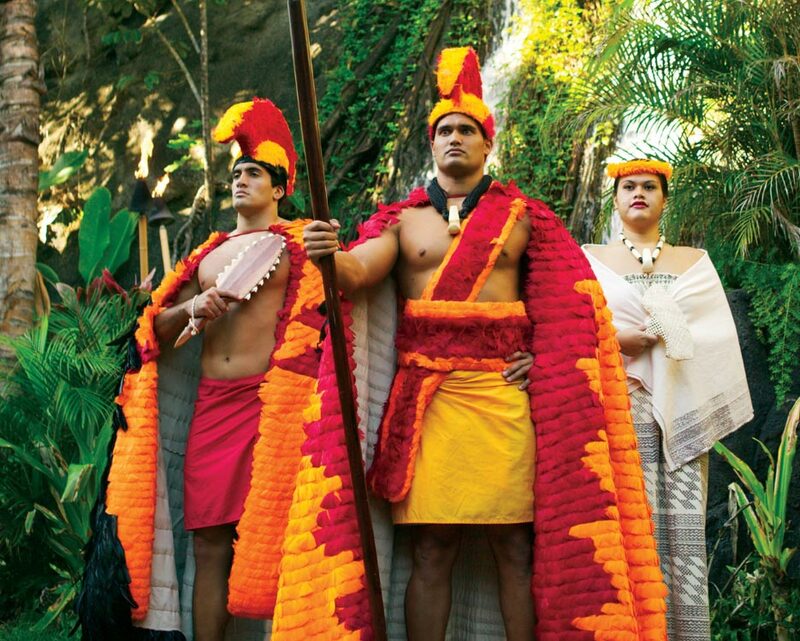 Polynesian Cultural Center’s new canoe pageant, Huki celebrates the stories of Laie and Polynesia, beginning with the legend of Maui and ending with the creation of the Polynesian Cultural Center. Weaving a narrative that combines history, myth, religion, and music, Huki portrays the beginnings of Polynesian Cultural Center in a fun afternoon show! After the canoe show, head to the nearby village of Tonga! Watch a rhythmic cultural demonstration, where you'll learn the Tongan clapping dance and participate in a drumming performance. 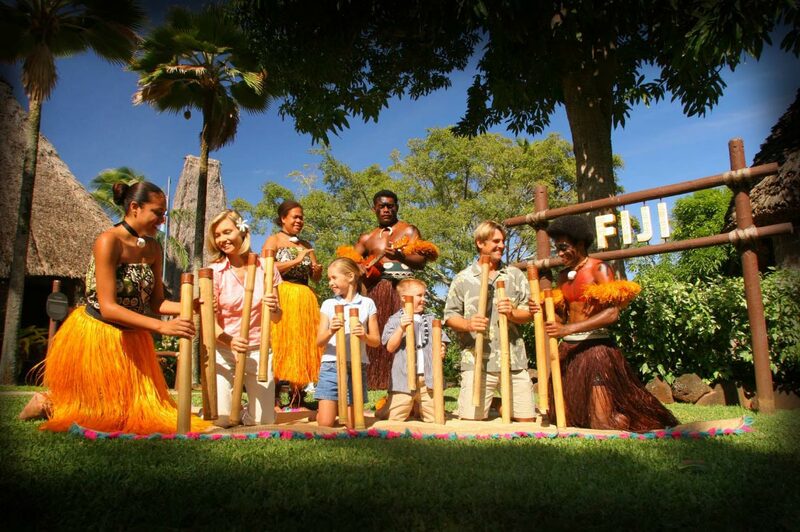 The Tahitian village offers a once-a-day performance of a traditional Tahitian wedding ceremony. See the famous hip-shaking Tahitian dance, and stand up and learn it yourself! Taste delicious handmade coconut bread, fish with bamboo poles, and see how coconut oil is made. The Halau Wa'a o Iosepa, or "Iosepa canoe house of learning," is a modern replica of a traditional Polynesian voyaging canoe. Learn how the ancient Polynesians used to navigate the oceans, using the stars, ocean currents, and birds. The canoe also serves as a sailing classroom for students of Brigham Young University in Laie. 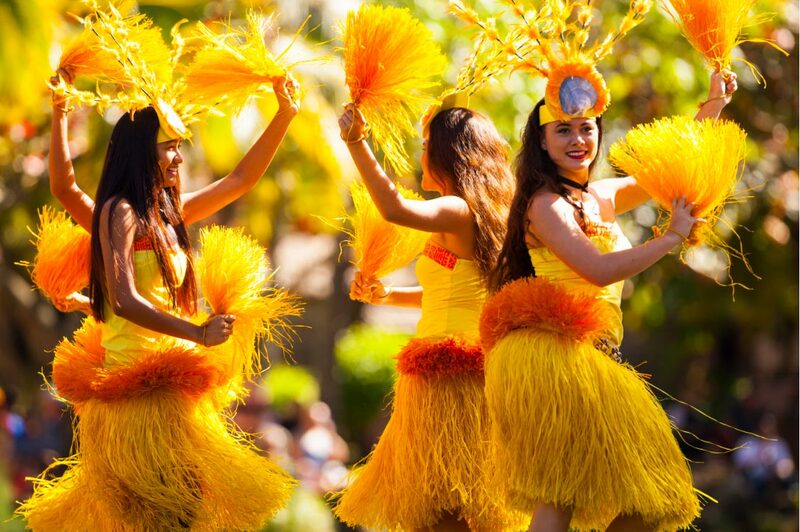 Dance the hula, learn to fish, and sample some poi at the Hawaiian village. Listen to Hawaiian songs played on an ukulele, play ancient Hawaiian games, and weave a tapa cloth. This one-way canoe ride takes you from the Hawaiian village to park entrance. The 5:00 p.m. canoe ride is the last one-way ride of the day. If you miss it, you'll need to walk back to the entrance. 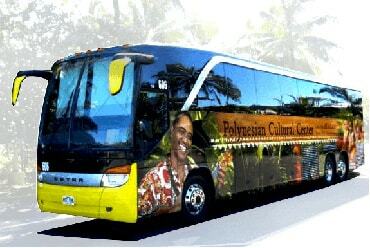 Take a short tram tour of the Laie area to see the community that created the Polynesian Cultural Center. See Brigham Young University, the town of Laie, and the Laie Church of Jesus Christ of Latter-Day Saints, located next to the Polynesian Cultural Center. Tours depart every 20 minutes, and take around 40 minutes round-trip. Feast on a delicious all-you-can-eat buffet. Dinner availability based on your ticket purchase. • The Alii Luau Buffet is the most popular dining option, which includes a luau show in addition to your all-you-can eat dinner. • The Prime Rib Buffet is a fine-dining option that allows a casual, yet comfortable atmosphere in which to enjoy your food. Includes a prime rib carving station, snow crab legs, and an array of island dishes. • The Island Buffet is a family-friendly dining option that offers a variety of dishes that will please any palate. Perfect for kids and picky eaters! After dinner, you'll have some free time before the night show begins. Do some last-minute shopping at Hukilau Marketplace! This marketplace located right outside the gates of PCC includes a variety of stores and stands featuring local crafts, souvenirs, and food. To learn more about Hukilau Marketplace, check out our blog post. This theatrical performance tells the story of Mana, a young Polynesian boy, and his growth into a man over the years as he visits the different island cultures of Polynesia. 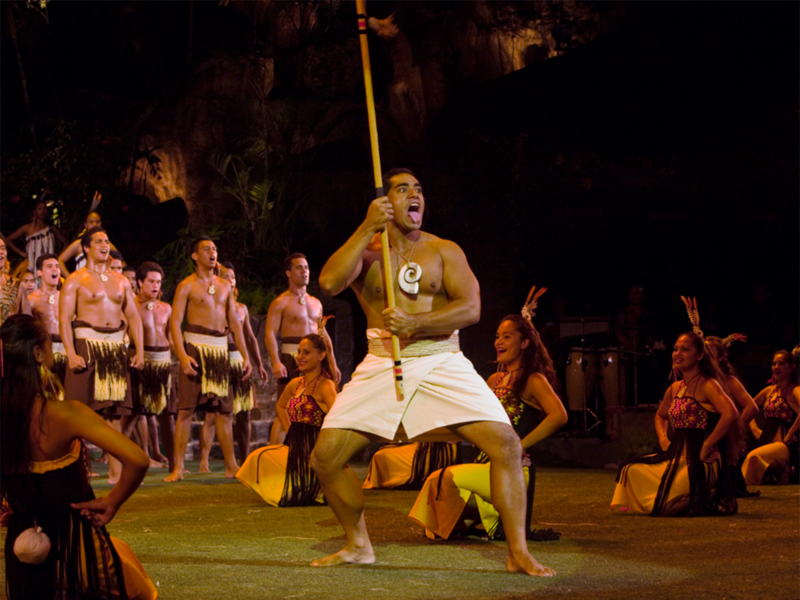 Including performances from various cultures, this show includes music, dancing, and blazing fireknives, told in a single, stunning evening show featuring over 100 Polynesian native performers and a variety of special effects. The show lasts 90 minutes with no intermission. Tickets must be reserved, with advance reservations recommended. After a full day at the park, it's time to head back to your hotel. The return bus will be running continuously until the last guest leaves the park. Don't forget to do your last-minute shopping at the Hukilau Market Place.